Camp and retreat directors know the nighttime sets the stage for really neat group activities. Recently at a Father-Son retreat we organized a “sky lantern launching” activity. So we got the small group of boys and dads together, and started lighting 5 lanterns one at a time. Once upright and lit, we all tried to hold on to it as we offered a general prayer intention and prayed an Our Father and Hail Mary. 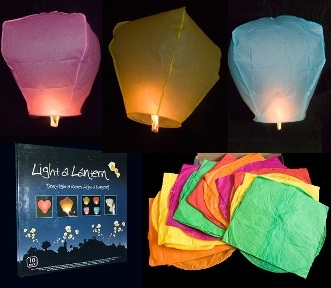 This was helpful because it takes a minute or so to get the air inside warm enough to inflate the sky lantern. Then, we let go and watched our “prayer” rise up to the night sky. 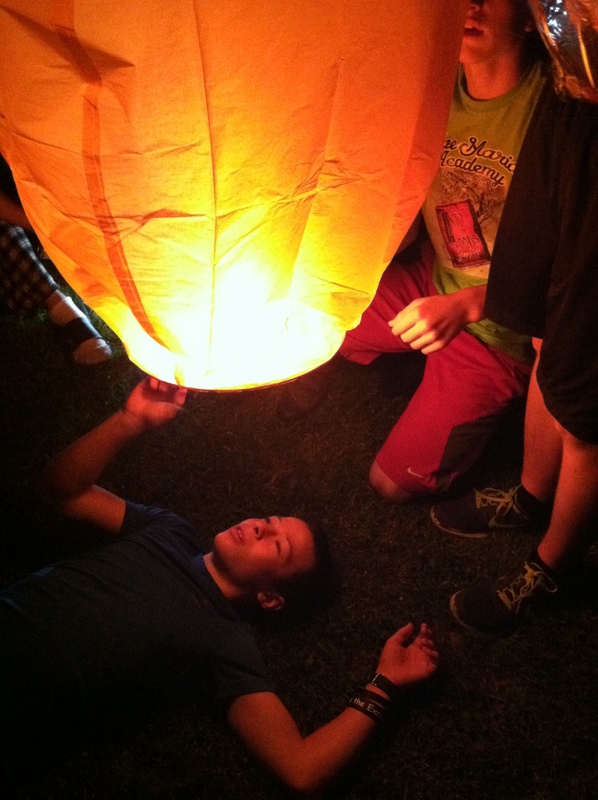 It was neat to see the boys hold on to the sky lantern as we prayed. It was as if somehow holding on to it, or touching it at some point, gave the impression that this was a holy object that would carry a piece of me and my intentions up to God. After we let it go, they would run after it until they could hardly see it anymore. 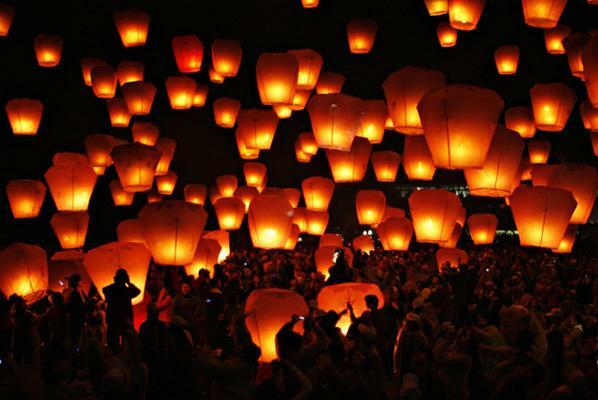 Each sky lantern is a different color. It is also made out of 100% bio-degradable material. We deliberately tried to light it on fire, but the paper just turned to ash without catching on fire. They are also inexpensive. It’s advisable to go to an open field, not just because they might hit a tree or building, but because you would want to see it in the sky as long as possible. I imagine the activity would be really majestic if done in a large group. I’ve seen pictures of these in large gatherings with thousands of people, or at weddings, et cetera. And it’s certainly possible to do this as a family. Just pick a family night, talk about what prayer intentions you’d like to offer God as a family, and then send them up! Light laces: shoe laces that light up! You’ll find these online by looking up the product on Google. Have a happy night activity!!! Posted in ActivitiesTagged activity, Christian parenting, christian prayer, ECyD, faith formation, formative activity, fun activity, group activity, prayer, religion, retreats, summer camps, teambuilding, teens, youth ministryBookmark the permalink.